Welcome, or welcome back, to my newsletter. The photo above shows me balancing on a raft which is floating in a tropical pool. I chose it because we're starting to feel the chill of the coming Winter here. Are you making the most of the weather you're having? Today's issue has an article on shortcuts, how they may be more of a headache and less of an easy answer. Enjoy! Is that shortcut a true solution? Everyone wants to be efficient, so what looks like a shortcut usually has immediate appeal. Yet sometimes the "quick fix" isn't really a fix at all, and it costs more time to undo the problems it causes. Did you ever drive to a place you haven't been to in a while, thought "This looks like the right way", and gotten yourself totally lost? Or maybe your friend is on a new diet. Since you could lose a few pounds yourself, you try the diet too, and break out in hives! Lesson learned -- you'll have to do the research necessary to find an eating plan which works for your unique metabolism. One size does not fit all! 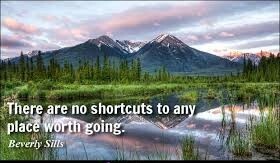 A place I see people constantly looking for shortcuts is with exercise. Target a specific body area, lose fat but don't get overly muscled, meet your fitness goals in 10 minutes a day! It's no wonder this kind of promise is so attractive. Many folks haven't found an exercise program which is simple enough and rewarding enough to stick with for more than a few weeks. 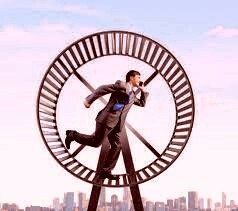 Like the poor guy on the hamster wheel, are you spending lots of energy rushing to nowhere? Consider interrupting your routine, and re-assess. Take some time to honestly look at your goals, then what you will actually commit to. If you want to train for a marathon, and have 2 jobs and school-age children, you probably won't be able to run 10 miles a day without plenty of extra support. A shortcut which isn't a shortcut at all can lead to lost time and productivity. This reminds me of the man chopping down a tree who is too busy at it to take a break and sharpen his axe! It can also set you back, like the woman on her friend's diet who got hives, or someone in the wrong exercise program who gets injured. Whatever you want better in your life, you're worth doing it right, not just giving it "a lick and a promise". I'm now thinking of the pharmaceuticals which cause more problems than they solve, though a drug may be appropriate in extreme cases. The old saying "Decide in haste, repent at leisure", applies here. Do your homework before starting down a road which may not lead to the destination you want, so you can proceed with confidence. To read about the disadvantages of "fixing" your vision problems with eyeglasses, click here. 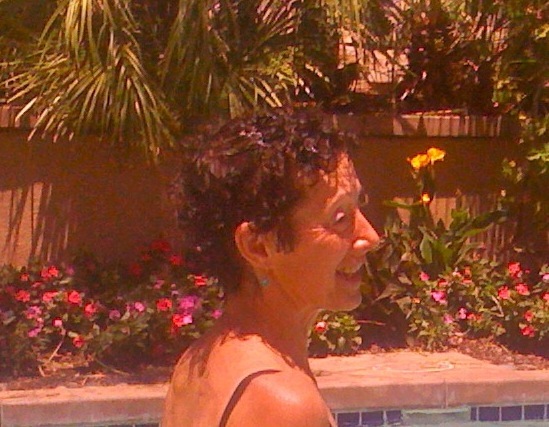 Let me know what you've wondered about concerning energy medicine or vision or dreams. I'll be glad to write a short article addressing that topic. Thank you to those who have sent me questions, or see a question you asked me in a private session written about here. You're helping many other people! Enjoy the first part of your December. I'll write again in a few weeks. Take care!